Freedom, Justice, and Equality for all. These are values we boast to ourselves and foreigners about what is so great about our democracy. They have the presumption of equal opportunities for all. However these value are far truer for some than other. Obviously opportunities are not equal for all economically, socially, religiously, and politically. Regardless of what we claim we are clearly a nation full of paradoxes. The pursuit of happiness are only words for many who have little hope for a better life. Restrictions, injustice, and inequality are still realities to many that fall short of our boasts still 260 years after the birth of this nation. We have not yet approached a level of social development to achieve social justice for all. Some would say we are drifting further away from the hopes and aspirations of the founders of this nation. Politics and government are all about power and the money it takes to achieve it. Money is at the heart of all our power and politics as it naturally is for business. It is about the top 2% who have the wealth to fund power in government to their advantage calling it free speech and expression. After the Supreme Court’s ruling in Citizens United allowing corporations to contribute to political campaigns and McCutcheon v. FEC removing most political campaign contribution limits, campaign contributions dramatically increased due to larger amounts of big contributions by the wealthiest individuals and corporations. We accuse other nations doing similar things as being corrupt. Money is the lifeblood of political campaigns and who gets elected to government. That has always been the case but now the very rich individuals and corporations have far more influence than before thank to Supreme Court rulings on contributions to political campaigns. So though we tout ourselves as being a democratic (actually republic) government, we have become more of a government representing 2% of the nation’s wealthiest. But that is not all that is paradoxical about our boastings. We also have religious moral values that some wish to impose on all by laws when the 1st Amendment clearly states as the very first Right granted in the Bill of Rights “Congress shall make no law respecting an establishment of religion, or prohibiting the free exercise thereof…” This means that government shouldn’t meddle in the affairs of religion nor should government prohibit the practice of religions commonly refereed to as “The separation of Church and State.” Fundamentalist religious groups would like Abortions, Gay Marriages, and Planned Parenthood to be banned by the federal government. They would also like Prayers permitted in public schools and Creationism or Intelligent Design taught alongside with science. Some religious values have been part of law for some time and are being overturned by courts and others are not law but have strong support among fundamentalist who are figuring ways around the laws. For example in Texas fundamentalist are getting around abortion protection laws by requiring clinics to have emergency surgery facilities available on site thus closing down all abortion clinics except those in hospitals. There are areas where large racial minority populations are denied equal work and educational opportunities to achieve upwards mobility. Thus they go into crime to make a living. But large segments of the population ignore them as long is they stay in their own neighborhoods. But when one moves into their neighborhood they are sometimes socially ostracized and the brunt of cruel pranks and vandalism, the very crimes they are so often accused of. So we have areas in this nation with great poverty and crime and others of wealth and safety. There are also sexual inequities especially among women regarding pay and promotional opportunities. But it doesn’t stop there. Member of the LGBT community have encountered discrimination in jobs, marriages, retirement benefits, hospital visitation and many other areas due to fundamentalist moralists who proclaim that these things are sinful so they are doing the work of God by their rejections, until recently when laws have started to give them more recognition and rights. But still they are often socially ostracized. There exists the right to bear arms as a constitutional right that is responsible for many deaths and injuries that deny victims the right to life, liberty, and the pursuit of happiness. 33,000 people are killed each year in the U.S. more than fighting most wars. Yet gun rights activist proclaim the need for even more guns to be available for self-defense as their Constitutional right. The U.S. is the only nation to have as a constitutional provision for an individual to own a gun for anything other than the defense of ones nation but the language of that provision has two very different interpretation. But the Court has ruled that the 2nd Amendment gives everyone that right. The list goes on and on. 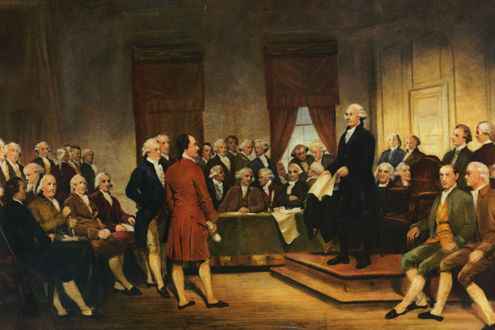 So what does “… all men are created equal, that they are endowed by their Creator with certain unalienable Rights, that among these are Life, Liberty and the pursuit of Happiness.” in the Declaration of Independence really mean to Americans? Of course there are other boastful things in terms of health, wealth and affluence, energy, and the environment that can also be examined. In truth all nation have their own paradoxes. So no one should have bragging rights about being better than another. This entry was posted in Inequality, Morality Values, Social Issues and tagged Bill of Rights, boasting, economically, equal opportunity, equality, freedom, justice, paradox, politically, pursuit of happiness, religiously, social development, socially. Bookmark the permalink.